Hey guys, me and Tom Fulp from Newgrounds.com have teamed up to do a fanart and music remix competition! 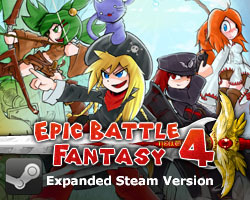 May 1st is the 10 Year Anniversary of Epic Battle Fantasy on Newgrounds and Epic Battle Fantasy 5 recently released on Steam. To celebrate the occasion, we’re hosting a fan art and music remix contest here on NG! To participate in the art contest, create Epic Battle Fantasy fan art, tag it with “Epic-Battle-Fantasy” and upload it to the Newgrounds Art Portal by May 1st. To participate in the music contest, remix any of the songs from the Epic Battle Fantasy series 2-5 (when Phyrnna was making the music), tag it “Epic-Battle-Fantasy” and upload it to the Audio Portal by May 1st. Entries will be judged by Matt, Phyrnna, Ronja, and the NG office. 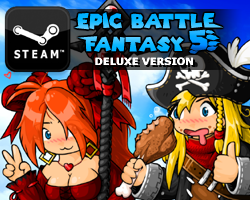 The ten best fan arts and three best music remixes will receive Steam keys (Windows only) for EBF5, EBF4, Bullet Heaven 2 and the EBF5 soundtrack. Tom doesn’t mention it in his post, but generally in contests like this you have to make art/music specifically for the contest – otherwise we’d have hundreds of submissions from earlier! So please don’t enter anything made before today! 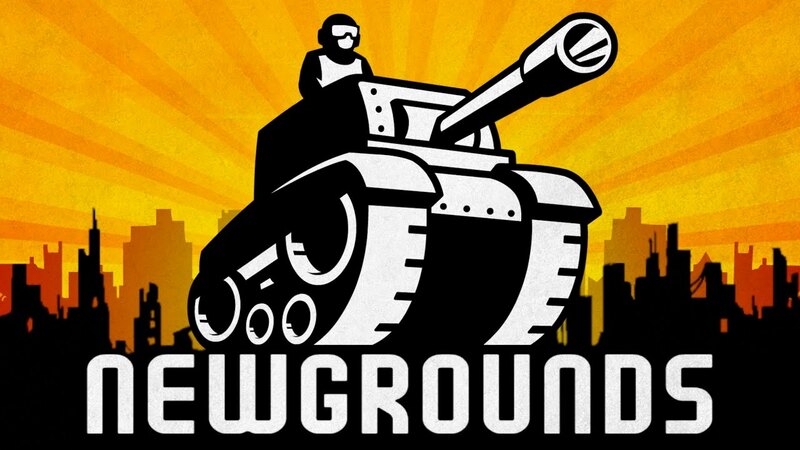 Also, you should post your work on Newgrounds anyway – it’s a cool site and I want it to make a comeback! This entry was posted in Fanart on April 12, 2019 by Matt Roszak. Woah! This sounds amazing! Any requirements for fan art besides that it has to be created specifically for the contest? Hi, im aiming to remix the songs. where can i get the instrumentals of the songs from ebf5 to ebf2 at? I need the entire file project (flp), i use either fruity loops or logic pro…!